Our neighbourhood might be home to coffee shops and cycle lanes, but a few hundred years ago it was a small hamlet surrounded by fields, cornfields and market gardens. 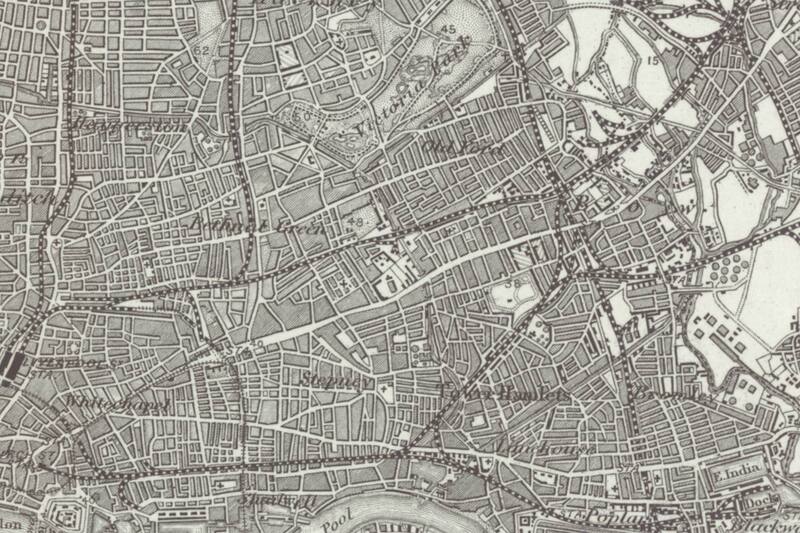 We’ve tracked down over 200 years’ worth of old maps of Bow, Globe Town and Mile End so you can trace the lines of the borough’s history. It is believed that Bow got its name from the shape of the arched bridge over the River Lee, built after Queen Matilda fell into the ford in 1110 and nearly got swept away in flood water. After her accidental dip, she demanded a bridge for the next time she went back. 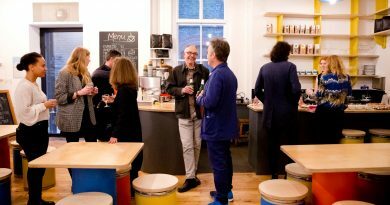 It wasn’t until the second half of the 19th century that Bow became more built up, eventually home to the match factory, the railway headquarters and the East End’s favourite clothes and shoe market, which you can see the gallery archive of here. 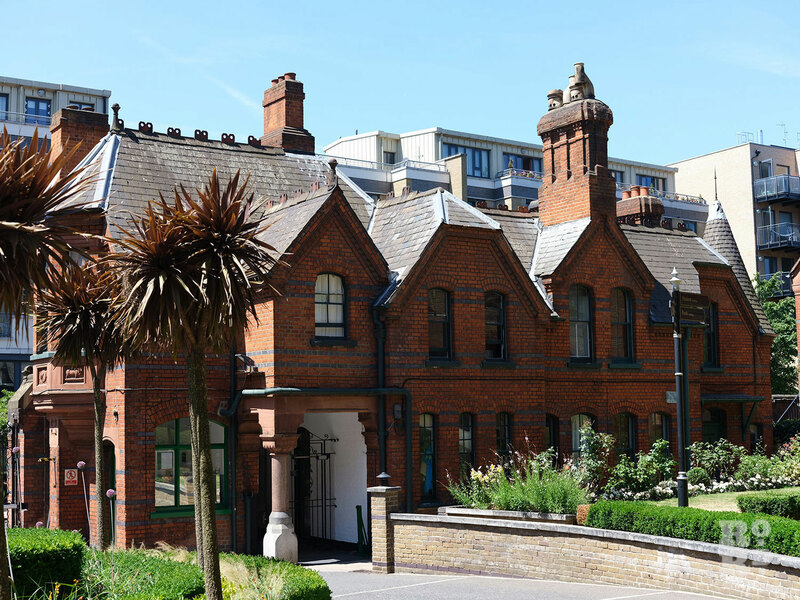 You can also see that the stretch Roman Road between the canal and Cambridge Heath Gardens was known as Globe Town as far back as 1872, probably named after a public House called The Globe on the corner of Globe Road. The first map is in our archives is from 1703 showing Old Ford Road and Drift Way. 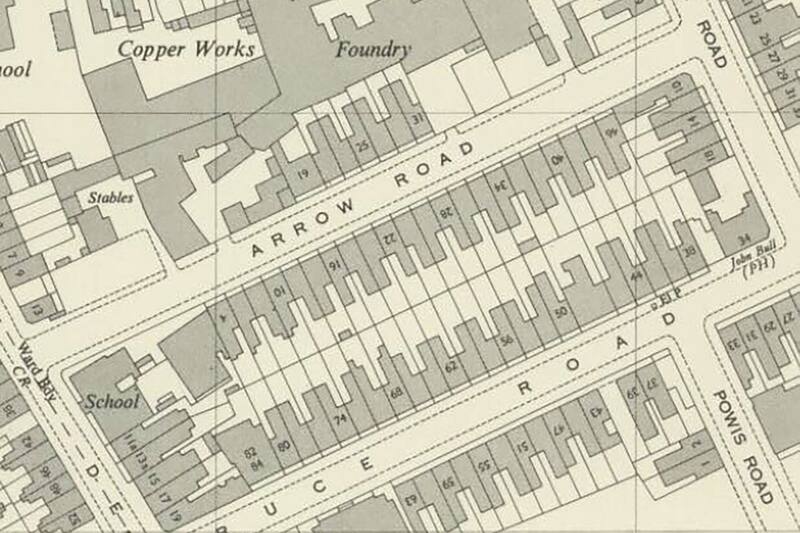 Drift Way (also known as Drift Street in other records) went on to become Green Street (see the 1872 map) and then in the 1930s the council came up with a new idea. It found out that an old Roman road from Colchester to London used to pass nearby, and this discovery triggered it to rebrand Green Street into Roman Road, effectively extending it all the way from Parnell Road to Cambridge Heath Road. 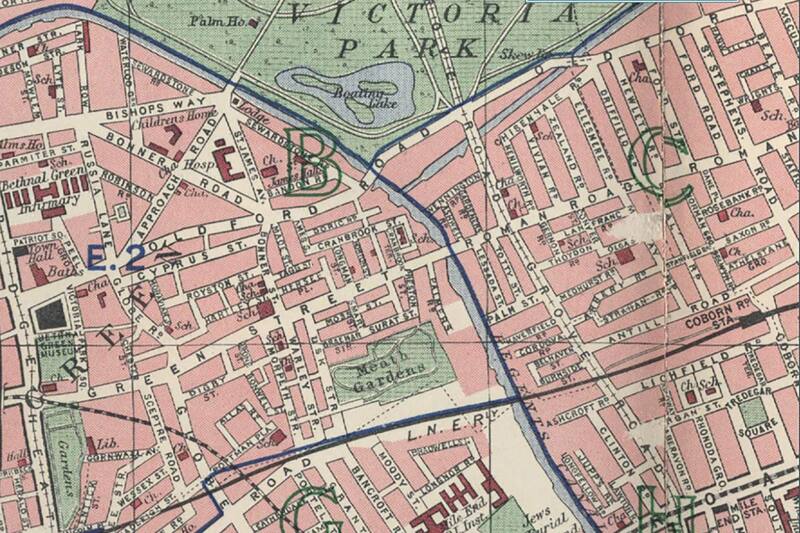 In the second map from 1872, Bow still shows areas of undeveloped land south of Victoria Park. By the 1970s, the landscape had changed again. Neat runs of Victorian terraced houses were interrupted by estates and tall housing blocks, now an integral part of London’s skyline. These maps visually show how our neighbourhoods are in a process of constant change and constant growth. They tell the story of its social and economic past with the streets acting as arteries of the community, still running strong. Do you have any old maps of the local area that you would like to have included in this archive? 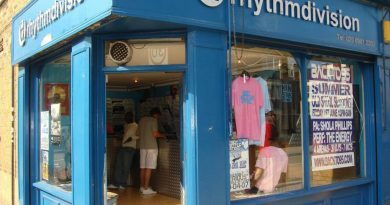 Get in touch and send it in to us at Roman Road London. 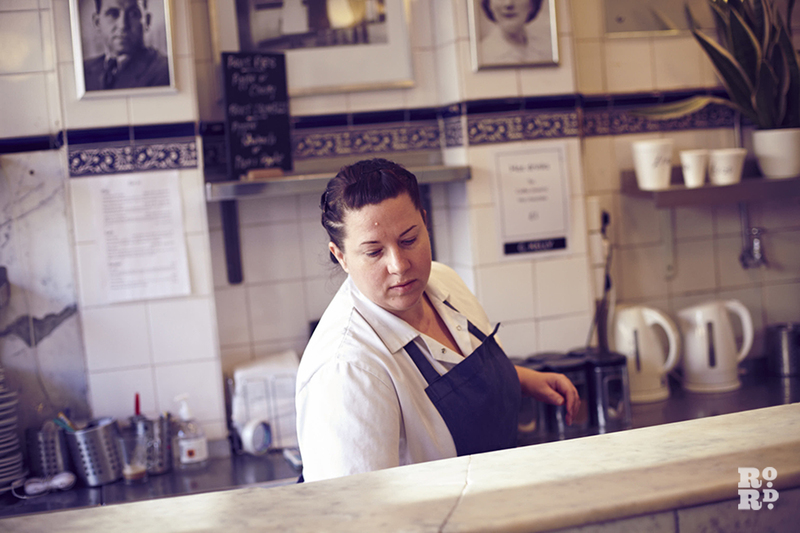 If you liked this gallery, check out our archive images of Roman Road Market and old cinemas. 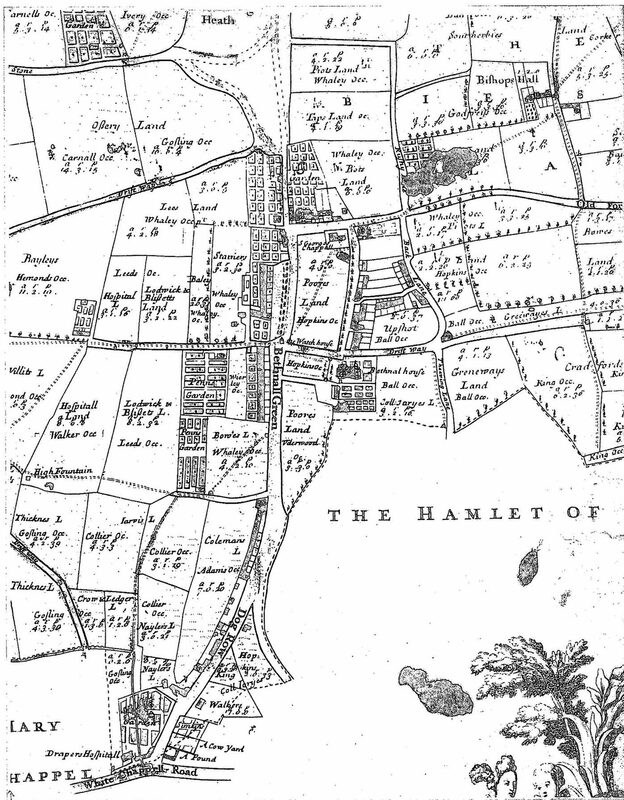 In the top left corner of this 1703 map you can see Drift Way, which became Green Street and, eventually, Roman Road. By 1872, a railway passed through the borough, Victoria Park had its boating lake and the streets were lined with terraced houses. Ten years later in 1882 and the East End is in full on sooty, busy, Victorian swing. 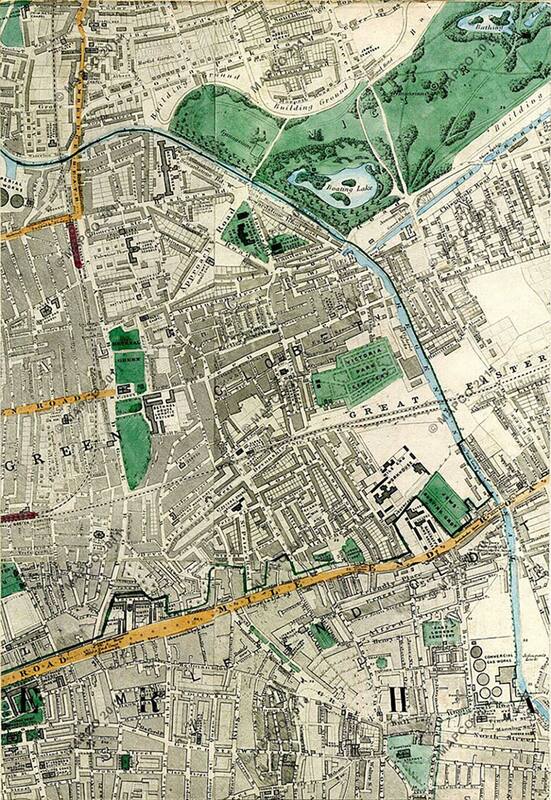 In 1885, Roman Road’s western stretch had become Green Street, seen here near the top of the map, with Roman Road to the east past the canal. 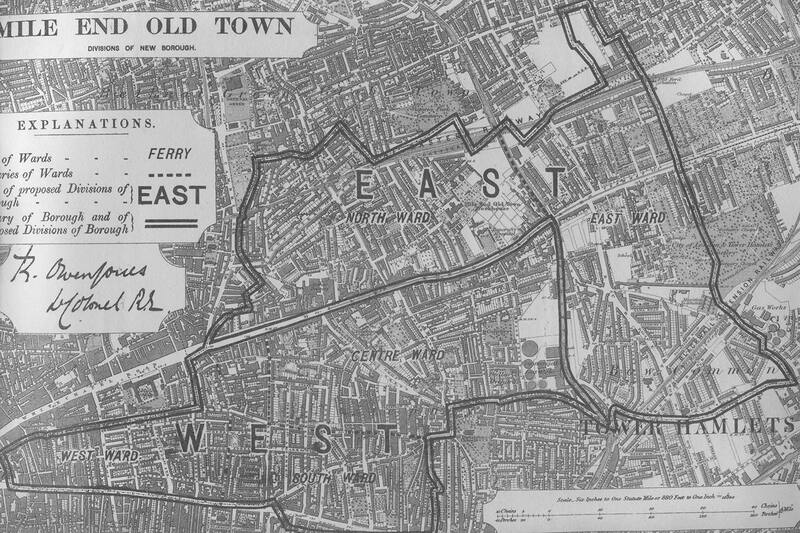 The white space in the top right corner of the map is Old Ford Railway Station, and St Clements was marked Mile End Old Town Workhouse. 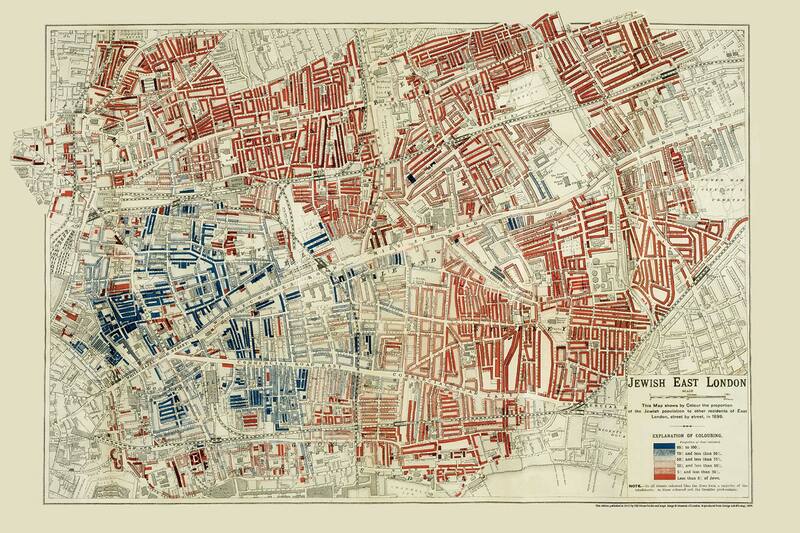 A more decorative map of the East End from 1896 showing all the empty space in Bow now infilled with housing. 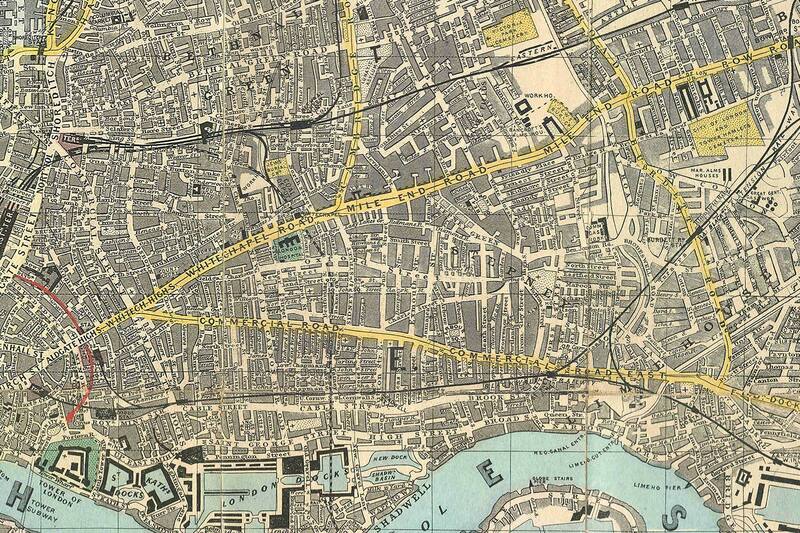 In this map from 1932 you are able to see the train lines. The stations are marked with red. 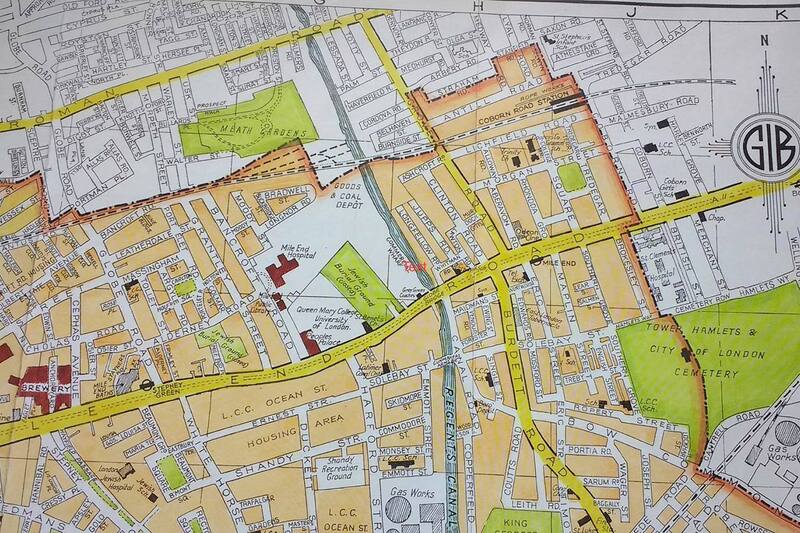 By the 1940s, Bethnal Green’s Green Street had been merged into the Roman Road. This is what Google-imaging your neighbour’s house looked like in the 1940s. 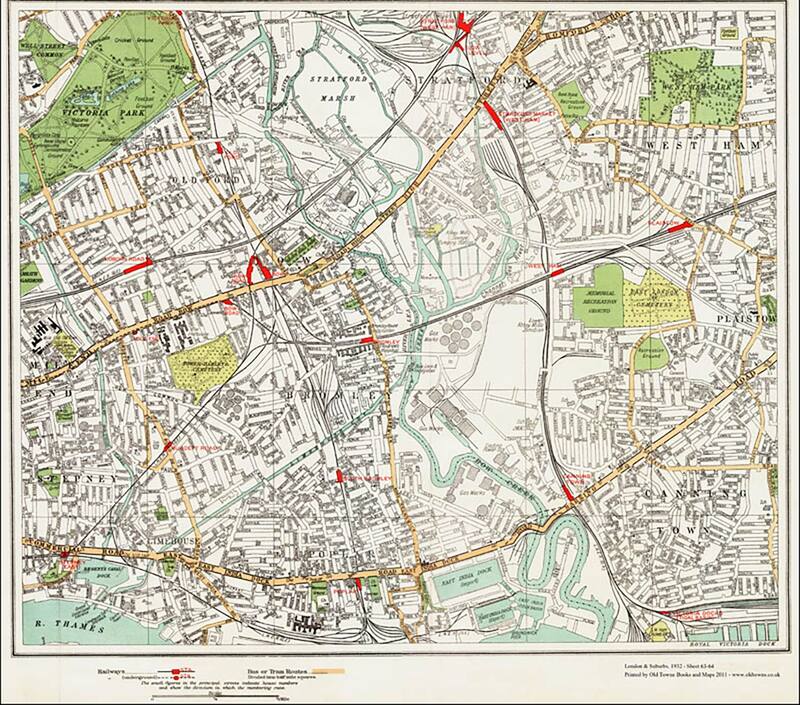 A 1950s map of Mile End with Roman Road running along the top.